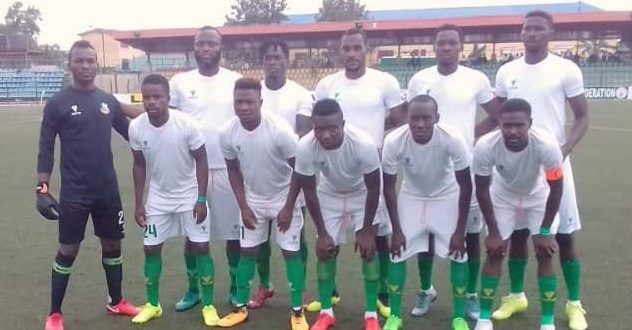 Kano Pillars zoomed into the semi- finals of the Aiteo Federation Cup following a 3-1 win against Enyimba in their quarter-final tie at the Pantanmi Stadium, Gombe. Enyimba dominated the opening exchanges and were rewarded for their good start when Stephen Chukwude scored the game’s opening goal in the 10th minute. Kano Pillars however rallied back with skipper of the side, Rabiu Ali grabbing the equaliser nine minutes before the break. The Sai Masu Gida took the lead for the first time in the 52nd minute through former home-based Super Eagles defender, Chris Madaki. Ifeanyi Nweke increased Pillars’ lead on the hour mark, while Nyima Nwagua scored his side’s fourth of the game few minutes later.